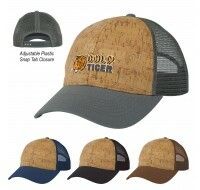 Features: 50% cork, 50% polyester crown Six-panel, medium profile Structured .. Features: Made Of Combo: 6 Oz. 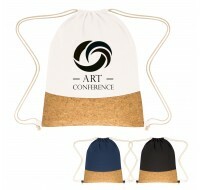 Cotton Canvas And Cork Braided Cotton Drawstring Clo..
***Metallic Finish ***Made of strong 210D Polyester construction ***Contrasting PU leather reinfo.. 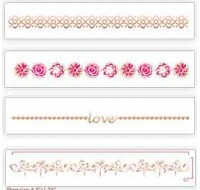 Include a sleeve of customized temporary tattoos with your guests' favors! 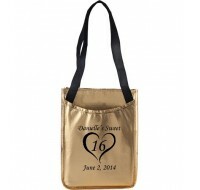 There are no set..
Reusable laminated metallic tote Dual black shoulder-length handles Front slip po..
New Arrival! 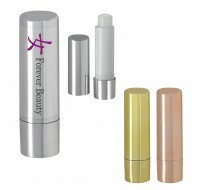 Just find your favorite themed design, choose an ink color and we'll add y..
Great favor or give away! **Vanilla Flavor **Safety Sealed **Meets FDA Requirements ..
Laminated non-woven 95GSM fabric with polypropylene webbed handles Textured tote in eye..
Backpacks now available in metallic! Just find your favorite themed design, choose an i..
New Arrival! 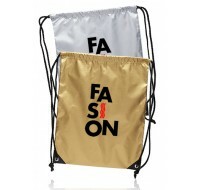 Made Of Metallic Polyurethane Zippered Compartment Wrist Strap ..
A super memento for your event! Cotton cosmetic bag with gold or silver accent! Mad..
9" MAZEL TOV "Hand Flick" Jewish Confetti Launchers filled with Silver and Blue Metallic Streamer..